Dustin the Turkey has been chosen by the public to represent Ireland at the Eurovision Song Contest semi-final in Belgrade in May. Watch the Eurosong 2008 result here. He won Eurosong 2008 from the University Concert Hall in Limerick with his song 'Irelande Douze Pointe'. He saw off the challenge of other finalists Donal Skehan, Maya, Leona Daly, Liam Geddes and Marc Roberts. Watch the six finalists on Eurosong 2008 here. 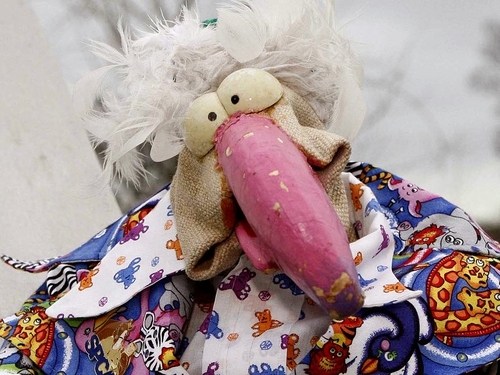 Dustin the Turkey will now compete in the first Eurovision semi-final on Tuesday 20 May. The final takes place on Saturday 24 May. Bookies William Hill have installed Dustin the Turkey as the 10-1 favourite to win Eurovision. The company's spokesman, Tony Kenny, said: "These days you have to be either from the old Eastern Bloc or have a great gimmick to win Eurovision - and a singing turkey will possibly be one of the most bizarre things that a Eurovision audience will ever see." "He'll go to Belgrade on a wing and a prayer and, fingers crossed, he'll ruffle a few feathers when he gets there," he added.